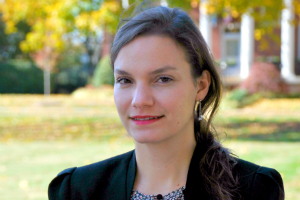 Pauline Le Roux is a visiting assistant research fellow focusing on the security challenges facing the Sahel. This includes examining the links between marginalization and extremism, priorities for stabilization, and understanding how structural trends of population growth and environmental fragility will shape the security landscape in the Sahel. In previous roles, Ms. Le Roux focused on legal guarantees within the framework of an INTERPOL program aimed at addressing organized transnational crime in West Africa and enhancing police cooperation among West African countries. She previously worked on migration and humanitarian issues with the United Nations High Commissioner for Refugees (UNHCR) and the International Organization for Migration (IOM) in South Africa.